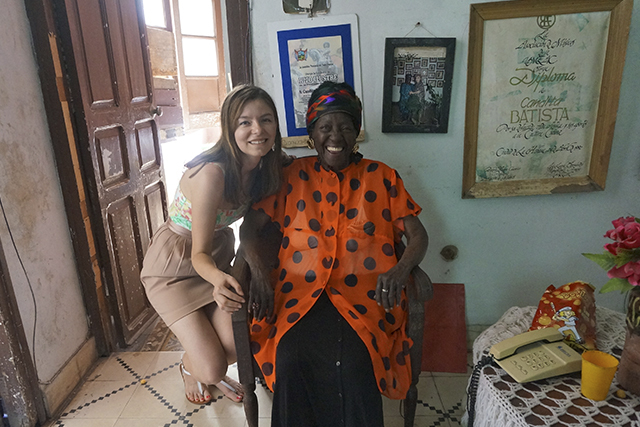 How does one go about planning a trip to Cuba based on meeting a centenarian? Let me tell you – no es fácil, as Cubans like to say. Chances are slim, and as it turned out in my case, nil. Two years after my first trip to Cuba, I was eager to make my way back to the Caribbean island, to witness the incredible winds of change as of late and to rub against the vibe of its people. But my end goal was to ultimately say hello to an old friend whom I’d met in Camagüey. This friend, by her name Candita Batista, was none other than la vedette negra de Cuba, the singer whose artistic career spanned more than seven decades, sharing the stage with the likes of Nat King Cole, Charles Aznavour and Lola Flores. Known for her Afro-Cuban repertoire and buoyant stage presence, she reached fame with Angelitos Negros, written by Venezuelan composer Eloy Blanco. 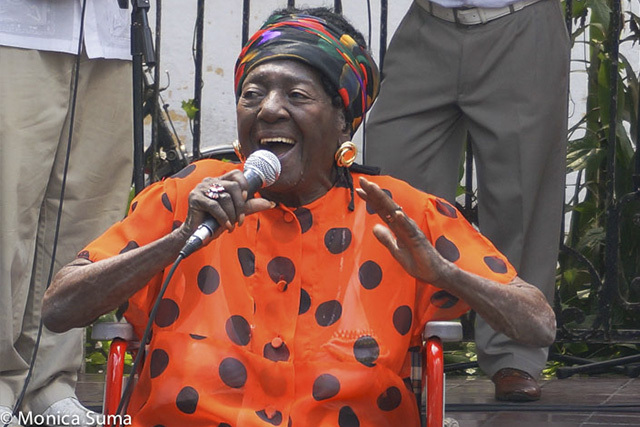 The first woman from Camagüey to sing with an orchestra, she would return to Cuba in 1959 after the triumph of the Revolution, following 11 years of residing in Europe. She would spend the rest of her life in her native Cuba, until her untimely death in April 2016. I didn’t make it in time for a second visit, but my memories of our meeting remain unbroken. 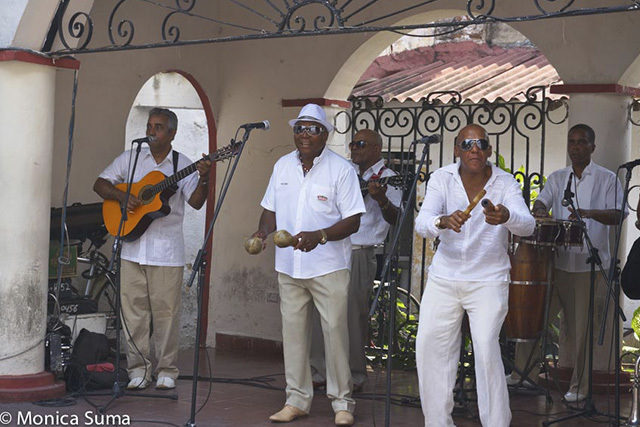 During my first trip in spring of 2014, my group and I headed to Casa de la Trova to take in traditional Cuban music. We were hoping that Candita Batista would make an appearance. Luck would have it that she did, accompanied by her band El Mokekere. Despite her 97 years of age, donning flamboyant polka dots, a fashion-forward turban and golden clip-ons earrings, Candita exuded more sparkle and gaiety than many of her younger counterparts. 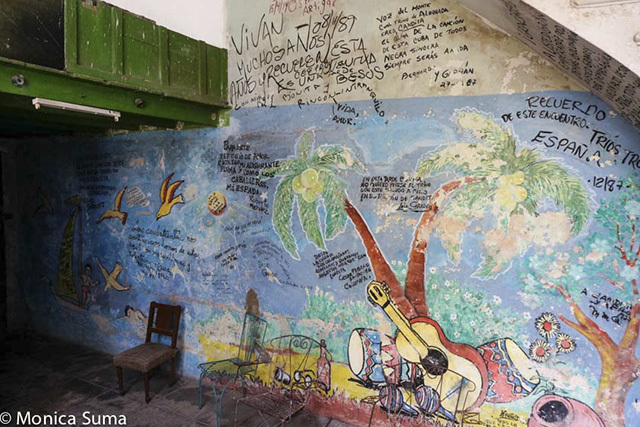 Following what went down as an exceptional sample of live Cuban music (with us Americans, pretending to hone our salsa moves), the group parted ways to cooler corners across town. The sun was sizzling, but I wasn’t ready to leave. I lingered on admiring the neighboring architecture, peaking into courtyards, eager for more Cuban stills of life. As I was snapping pictures of yet another splendid house, I sensed a tap on my back. To my surprise, the same singer, escorted by her entourage – her son as main caretaker – smiled on, giving thanks for our attendance. She invited my companion and I to her home just down the street. We jumped at the occasion, giddily in disbelief. If I had learnt one thing from my time in Cuba, was that nowhere else in the world would people show such unpretentious kindness and friendship as in Cuba. This world-renown salsa legend wasn’t any different. Entering her home was like stepping into her glory days of the yesteryear - awards upon awards adorning the walls, portraits taken throughout her longevous life, memorabilia from worldwide travels - all laying testament to her diva days. Inside the patio, several walls were decked with dedications from her life-long friends, fans and admirers. As most houses in Cuba, hers was crumbling, shouldering the weight of time. But it was no less stunning and romantic, as only a Cuban house could be. 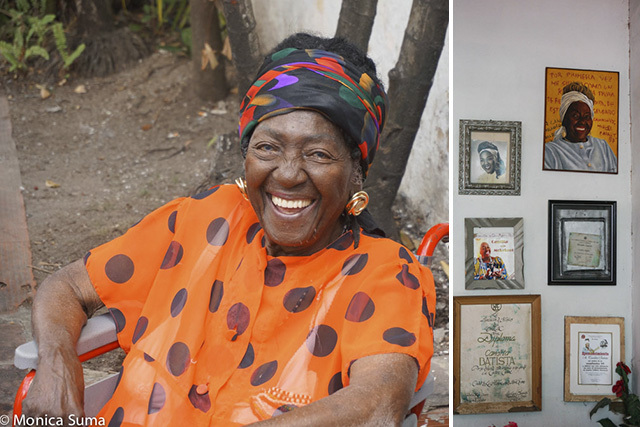 Her home and artistic legacy were clear evidence of why she gained the moniker of the Josephine Baker of Camagüey. Speaking in both Spanish and English, Candita recalled the days she traveled around the world, gracing the stages of Europe, America and Africa, while her husband was raising their son back at home. And then, as if we had always known each other, she extended her welcome for my next trip to Cuba. “Please knock at my door if you come back to Cuba,” were the last words Candita spoke to me. While I missed her by two months, her memory lives on. A most fortuitous encounter that speaks volumes of what it means to be Cuban.